Comprised of natural gravel or stone, encapsulated in a clear resin binder, to form an attractive, durable and permeable surface, a resin driveway with a permeable construction underneath is SUDS (Sustainable Urban Drainage System) compliant and does not require planning permission plus the smooth surface is free from trip hazards and wheelchair friendly. 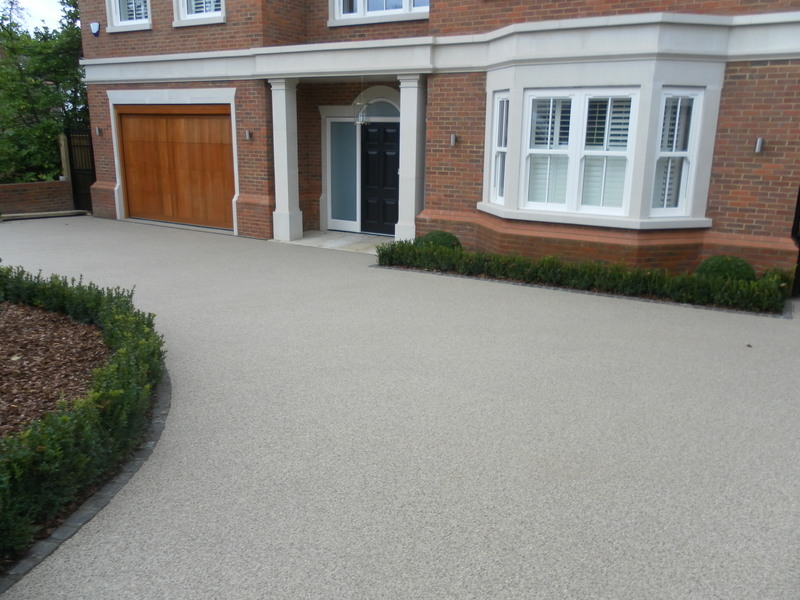 As the aggregate is encapsulated in a clear binder, there are no loose stones, meaning no stone loss and no sweeping gravel back into position. 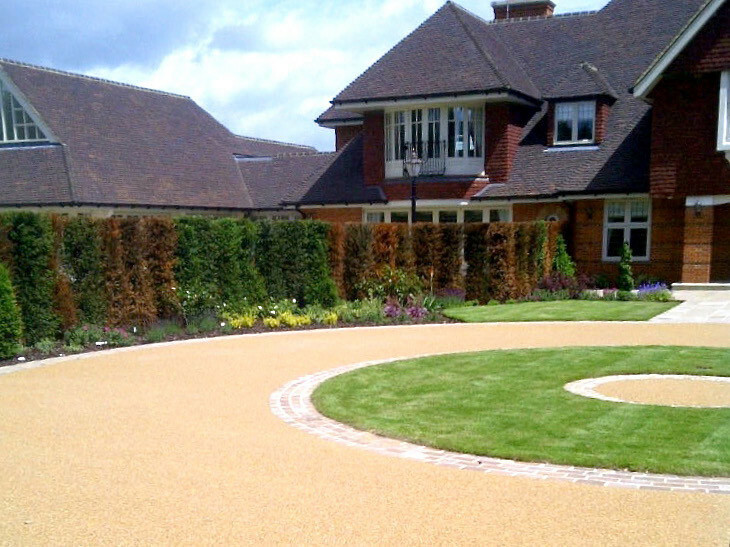 No weeds can grow so it requires minimal maintenance and is permeable so installing one requires no planning permission. Why choose us to install your resin driveway? The resin paving industry is growing at a very fast pace but we have been here since its early days and pride ourselves on our wealth of knowledge and experience. 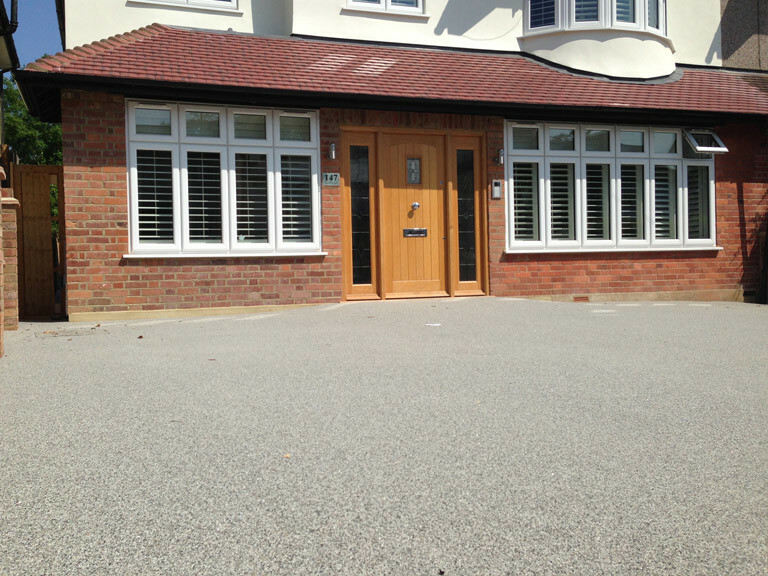 Throughout the last 15 years we have built strong relationships with valued clients and are proud of our reputation. 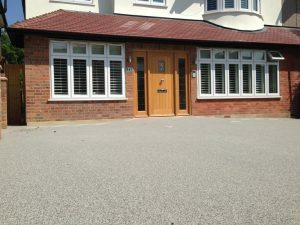 Our directors are involved in every project from the outset to ensure everything runs smoothly and all of our surfacing is covered by our 10 year guarantee. 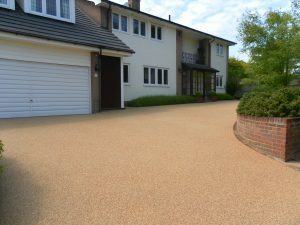 We install resin surfacing and flooring throughout the UK. Please click here to visit our FAQ section in which we try to provide answers to the most common questions about resin drives. If you have a question which isn’t covered please fill in the form on our contact page or call our office on 01322 340350. 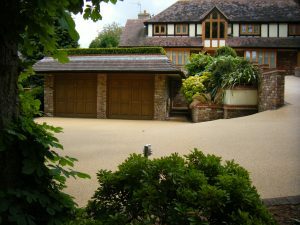 A resin bound driveway needs to be installed on a solid base, for example existing or recently installed concrete or tarmac. It cannot be installed on top of existing flags or blocking paving as these surfaces move over time which will cause the resin surface to crack. 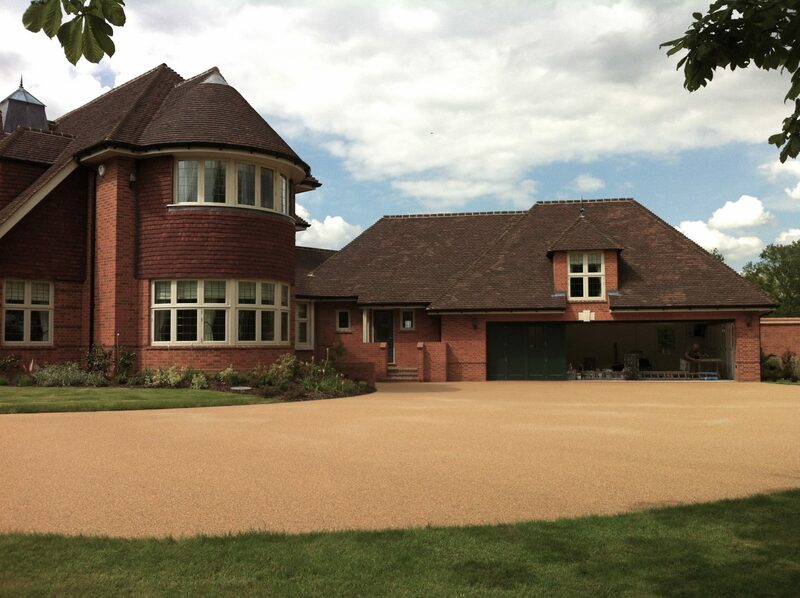 To arrange a site visit please contact 01322 340350 or fill in the form on our contact page.